In honor of Gawker hack Cord Jefferson's 44 word post accusing The Week of racism because the Boston Marathon bombers were drawn slightly tanned and not washed-out white, I have made my entire response the tag for this post. Considering how dark their skin is in some photos, couldn't the argument be made that the FBI is racist for releasing such white-washed photos of them? 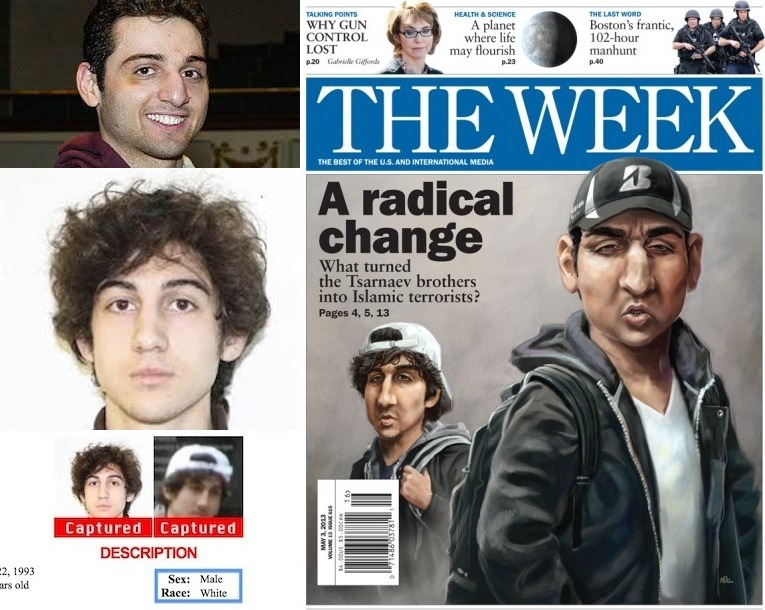 And seriously, the top left picture of the older brother looks about the same tone as his drawing. What I don't get is why he is trying to kiss me. Racism exists, but there are no examples of it.